This is a 1884 ad for a F.O. Wehoskey & Co. President and Vice President Campaign Pictures! The size of the ad is approximately 3.5x5inches. 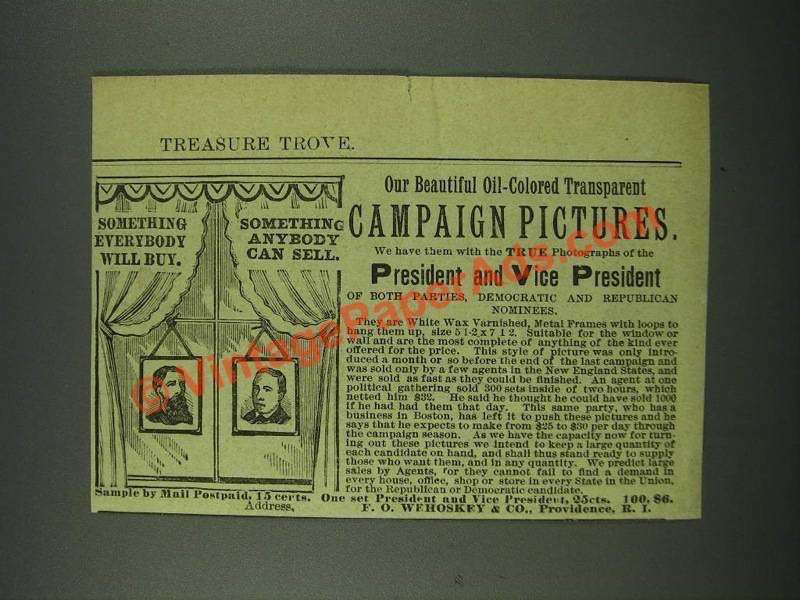 The caption for this ad is 'Our beautiful oil-colored transparent campaign pictures' The ad is in good overall condition, with some light wear. This vintage ad would look great framed and displayed! Add it to your collection today! 1938 Casco Glue Ad - Fixed for Life!